Here are some basic home fire safety tips to help keep your family and your property safe. These steps will help you form smart habits that can prevent fires from starting in your home. Don’t forget to also read our Emergency Preparedness page to help create a plan so your family knows what to do during a fire or other emergency. Smoke detector fire alarms are the number one tool in home fire safety and prevention. 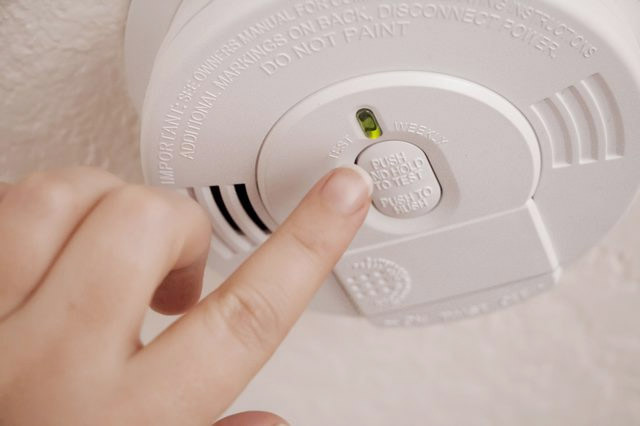 Most fire and smoke-related deaths occur in homes without a smoke detector, or detectors that are malfunctioning due to dead batteries or bad wiring. 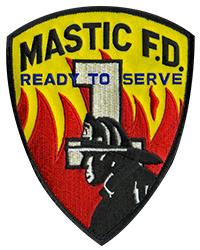 Mastic Fire Department recommends that you install at least one smoke alarm on every level of your home, including the attic and basement. Even better is one in every bedroom. Smoke alarms are designed to wake you up if a fire starts while you are sleeping. Be sure your smoke alarms are near bedrooms and other sleeping areas in your home. Replace the batteries in your smoke alarm once a year. Mastic Fire Department recommends you do this when we change our clocks in the fall or in the spring. Replace your smoke alarm every ten years. After ten years, your smoke detector will have been working consecutively for 87,000 hours. No other appliance in your home works this long. If you do not know how old your smoke alarm is, or if it is ten years or older, replace it as soon as possible. Carbon monoxide (CO), known as the Invisible Killer, is a colorless, odorless, poisonous gas that results from incomplete burning of fuels such as natural gas, propane, oil, wood, coal, and gasoline. Each year many people die from accidental CO poisoning and thousands more are injured. Mastic Fire Department recommends that you install a carbon monoxide detector on every level of your home, including habitable portions of basements and attics. On levels with sleeping areas, the detectors should be placed within ten feet of bedroom doors. 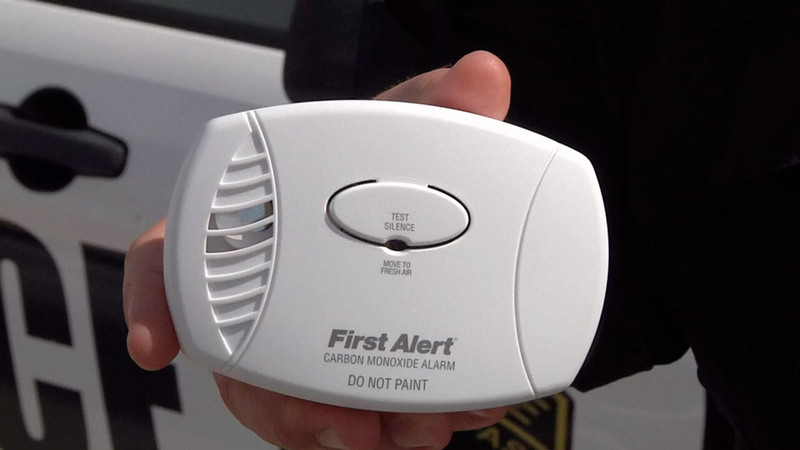 Carbon Monoxide Detectors have expiration dates, typically between 5 – 10 years. Make sure you replace the detectors in your home prior to the expiration date. If your carbon monoxide detector has a battery backup, be sure to replace the batteries every year. Symptoms of Carbon Monoxide Poisoning include: headache, fatigue, shortness of breath, nausea, and dizziness. If you think you have symptoms of carbon monoxide poisoning, or your CO alarm is sounding, leave your home immediately and contact the fire department . Portable fire extinguishers are another critical home fire safety tool, which can help put out small fires in your home, saving lives and property. However, if a fire grows out of control or spreads beyond a small area, do not attempt to extinguish the fire. Evacuate your home immediately and call 9-1-1. A multi-purpose (ABC) fire extinguisher is best for the home. Look for the rating to be at least 2A-10B-C on the label. This extinguisher can be used on any type of fire commonly found in the home. 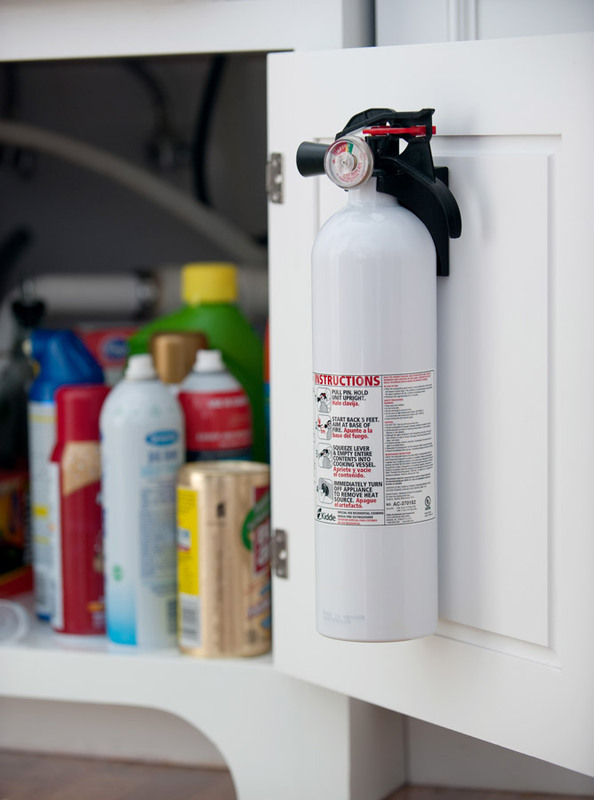 We recommended installing an extinguisher in any kitchen or cooking area, as well as in the garage. Keep things that burn away from the cooking area and appliances in your kitchen. Don’t place towels, pot holders, pizza boxes, or paper bags on the stove or near hot appliances. Clean any grease build-up from the stove, oven and exhaust fan regularly. Cooking grease and oil ignite easily and burn rapidly. Use a lid or bigger pan to smother a small pan fire. Do not use water or flour on a grease fire. It will make the fire bigger. Do not try to carry a burning pan outside or to the sink. You could accidentally spread the fire. Keep a lid, baking soda, or an ABC fire extinguisher handy in the kitchen. Don’t store cookies or other “treats” near the stove. It might tempt little children to climb on the stove. Keep young children and pets away from cooking areas entirely. Keep pot handles turned inward, out of the reach of children and pets. Keep appliance cords up on counter tops too. 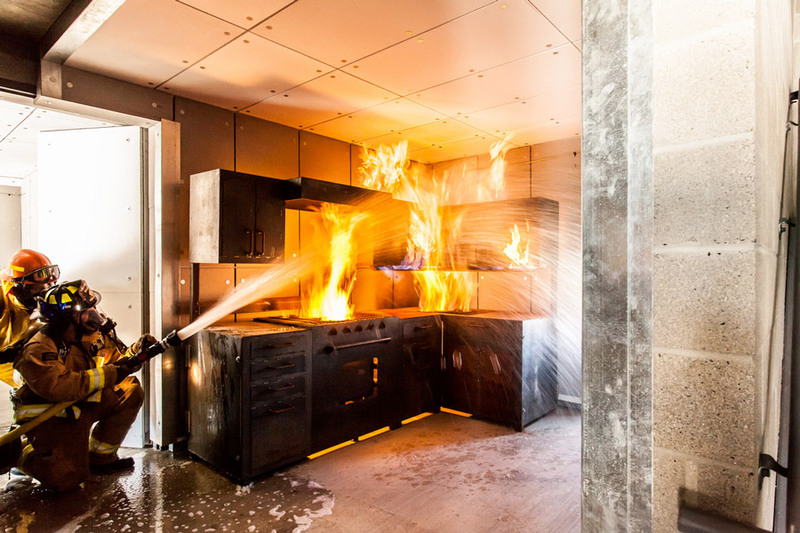 Dress for fire safety in the kitchen. Don’t wear loosing fitting clothing, like nightgowns or bathrobes while cooking. Never leave cooking unattended. If you must leave the kitchen for some reason, turn the heat off and take something with you to remind you that you have something cooking. Check appliance cords regularly for frayed or broken spots. Replace damaged cords or appliances. Avoid reaching over the stove for anything while cooking. Store frequently needed items in other areas of the kitchen. 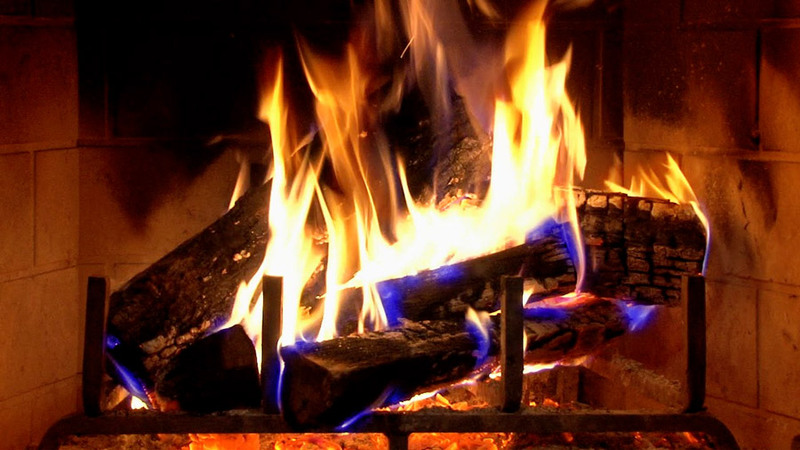 Fireplaces and Wood Stoves are a common source of supplementary heat for our winters, but just because our cold season is short, we cannot dismiss the dangers of fire hazard. Careful attention to home fire safety can minimize potential hazards.